Ahlen, April 2018. – Located in Tegelen in the Netherlands, the Hotel Château Holtmühle allows its guests to immerse themselves in the romance of the Middle Ages, and make them feel like they are “king of the castle.” The luxurious character of the château is immediately evident as you approach across the moat and is equally tangible in the hotel bathrooms which feature elegant XXL shower surfaces made of superior Kaldewei steel enamel. Part of the Bilderberg hotel chain, Château Holtmühle offers its guests fine dining, recreation and service of the very highest standard. After a day spent in Limburg’s idyllic countryside, guests can relax in the pool, sauna or steam bath. Gourmets can enjoy superb food in the exclusive restaurant, situated in the medieval vaulted cellar. 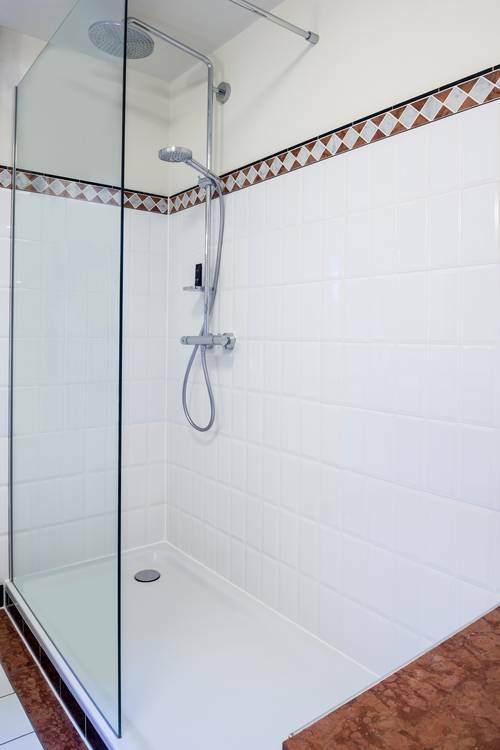 Kaldewei’s floor-level Superplan XXL shower surface has been installed in the chateau’s 45 atmospheric rooms. While its generous dimensions afford lavish freedom of movement when showering, the virtually invisible Secure Plus finish renders the shower surface slip-resistant and secure underfoot. The seamless surfaces of the floor-level showers made of Kaldewei steel enamel are impervious to dirt and soap residue, making them easier to clean and maintain. This not only gives guests a sense of impeccable hygiene but also greatly reduces the housekeeping workload, therefore reducing running costs for hotel management. Kaldewei steel enamel is exceptionally scratch and shock-resistant and even after years of heavy use will not lose its timelessly elegant look. 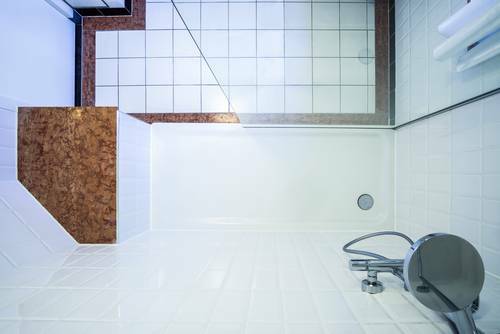 Enamelled shower surfaces from Kaldewei are therefore the perfect choice for use in hotels. Period of use: limited from now to June 30, 2019. Part of the Bilderberg hotel chain, Château Holtmühle offers its guests fine dining, recreation and service of the very highest standard. Kaldewei’s floor-level Superplan XXL shower surface has been installed in the château’s 45 atmospheric rooms. While its generous dimensions afford lavish freedom of movement when showering, the Superplan XXL’s virtually invisible Secure Plus finish renders the shower surface slip-resistant and secure underfoot.